CD's and DVD's everywhere and taking up lots of room? I have your fix! This product was a large product solver for me. Space: I had drawers and shelves filled with them. CD/DVD's getting scratched by kids playing with them. I needed something lockable. Kids putting more than one DVD in DVD player at a time. I needed a way to ensure there wasn't access to more than one at a time. I bought one of these and it comes with the sleeves. 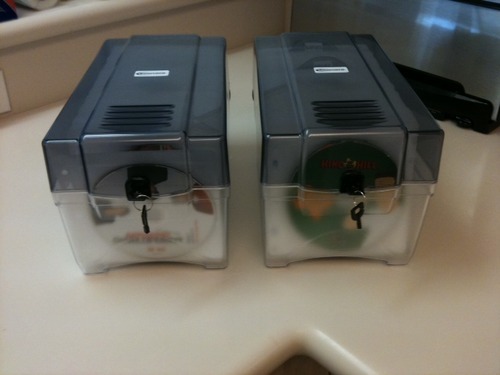 It holds up to 150 CD/DVD's. Bonus: It also has a lock and comes with 2 keys! Wanna buy one for your house? The amazon link for this project is listed below.